If you’ve ever suffered from acne or you’re currently suffering from acne you’ll know how incredibly frustrating it can be. Acne affects a massive proportion of the UK population – 80% of 12 – 24 year olds have been plagued by this common skin concern. And it doesn’t stop there… 8% of adults between 24 and 35 years old and 3% of adults between 35 and 44 years old fail to leave behind acne in their adolescent years. Acne manifests itself in a variety of unsightly lesions on the face and sometimes on the body. Lesions can include macules, papules, pustules, nodules and cysts – all more commonly known as spots! Certain lesions can cause varying degrees of scarring. Acne prone skin can also become congested, resulting in blackheads and blocked pores. Acne is essentially an inflammatory skin disease that affects the pilo-sebacious gland. For acne to be officially diagnosed there are 4 indicators that have to be confirmed. These are evidence of increased sebum, an increase in cell turnover, a buildup of Propionibacterium (P-Acne) and inflammation of the skin. Acne can be graded into 4 categories from mild to severe. Acne is primarily caused by hormones, specifically the androgen hormone that is stimulated during puberty. This is why acne can be more common in the adolescent years, but the hormonal changes that cause acne can happen at any age. The imbalance of the androgen hormone can also be caused by stress, the contraceptive pill, pregnancy, the menopause and certain medications. Sadly, acne can have knock-on psychological effects such as anxiety, depression, low self-esteem and a lack of self-confidence. It is a frustrating concern that many people find embarrassing and difficult to tackle effectively. What are the myths about acne? • The myth that acne only occurs during the pubescent years is NOT true. Acne can affect people of all ages – both men and women. • Acne is NOT caused by poor hygiene. Often those who suffer with acne cleanse their skin thoroughly and regularly. • Acne does NOT only appear on the face. It can appear on the neck, chest, back and other parts of the body. • There isn’t any scientific evidence to prove that diet can affect acne however some people find that certain food types such as dairy and fatty foods can exacerbate the condition. 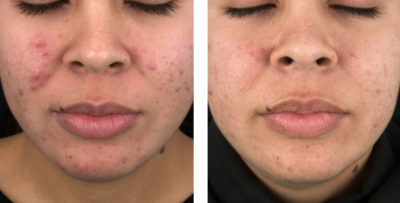 So, what can be done about acne? It is important to note at this point that acne is highly treatable with the appropriate professional skincare products and treatments. 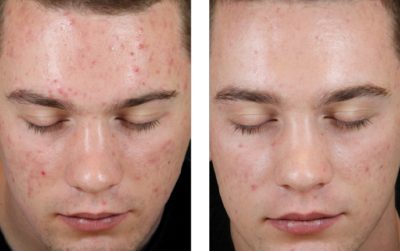 All hope is not lost – acne can be beaten! Due to the prevalence of acne as a skin concern, scientists, chemists and dermatologists have spent years trying to devise products and treatments that calm and cure this inflammatory skin disease. 98% of dermatologists say that acne sufferers will discontinue their acne products and treatments if they don’t see an improvement within 4 weeks. There are numerous off the shelf and over the counter ‘spot zapping’ and ‘skin clearing’ products available, all marketed to show impressive results. This in itself is an issue that can add to people’s frustration and suffering when trying to combat acne. Switching from one unsuccessful solution to the next can anger the skin and cause further imbalances and damage. If you suffer with severe grade 4 acne you would need to seek treatment from a dermatologist. 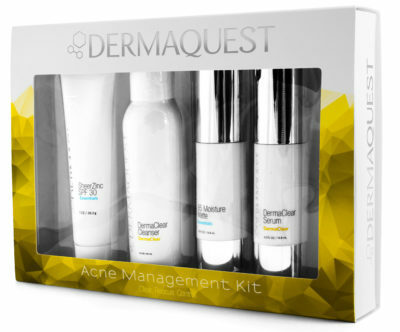 If, however your acne is between grade 1 and grade 3, DermaQuest’s professional skincare products and treatments can help! One of the key elements of controlling acne and increasing cell turnover is understanding the difference between skin hydration and oil hydration. Oil is an essential component for the skin to remain soft and supple. However, over oily skin will play a part in the development of acne whilst a lack of skin hydration slows down skin cell turnover and restricts the skin’s natural healing process. Hydrating your skin controls the production of oil meaning you are one step closer to acne-free skin. For the skin cells to function properly and enable cell to cell communication the skin needs water, also known as Hyaluronic Acid. Hyaluronic Acid is naturally found in the body but the production of it starts to significantly decrease as we age. Hyaluronic Acid contributes to the plumpness and strength of the skin. This is the key component needed for the skin to heal and repair when damaged or compromised. DermaQuest currently offers three products that assist with increasing hydration levels within the skin by using the highest grade of Hyaluronic Acid. These are the Essential B5 Hydrating Serum, the Advanced B5 Hydrating Serum and the B5 Moisture Matte. 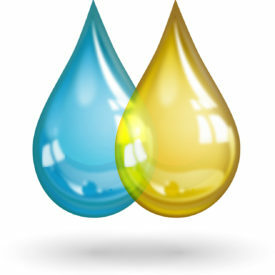 Without hydration the skin produces excess oil which increases the risk of developing acne. Without excess oil (known as sebum) acne fails to thrive! DermaQuest is one of the world’s leading skincare brands, tailoring products to a variety of skin types and skin concerns. Their product research and development are second to none, employing highly qualified chemists and dermatologist to focus purely on their own products and skincare breakthroughs. DermaQuest’s philosophy and use of high quality performance ingredients are unique in the beauty industry. As an organisation they are immensely proud of the quality of their ingredients and their in-depth research. Their winning approach has resulted in exceptional skincare ranges that benefit all skin types and skin concerns, from acne to ageing and dehydration to pigmentation. So, which products can DermaQuest offer? A gentle daily antibacterial exfoliator that helps to stabilise oil control without dehydrating your skin. Anti-bacterial to ensure your skin remains clean. 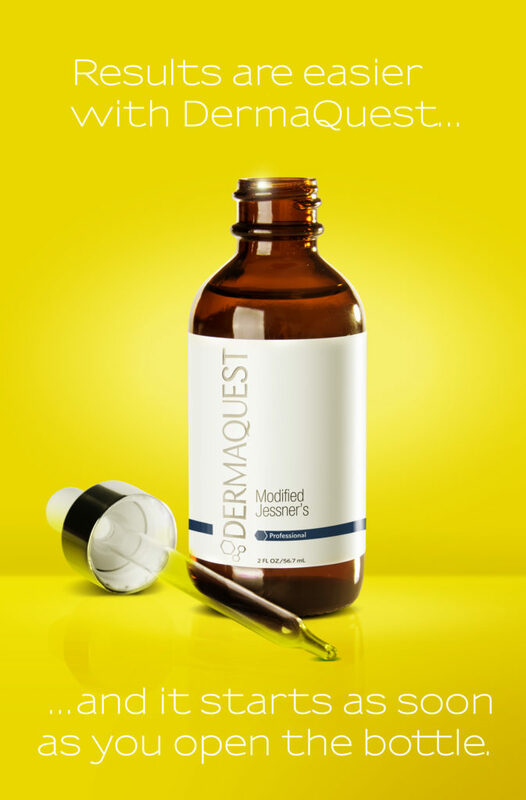 A hydrator that contains DermaQuest’s Evermat key ingredient which absorbs excess oil. Works to control oil production while increasing cell turnover and optimising skin hydration, ensuring maximum skin repair. An essential oil free SPF that protects, soothes and calms. It also offers optimum environmental protection whilst creating an occlusive barrier from further irritation and environmental damage. A perfect nighttime serum that stimulates cell growth to reveal a brighter complexion. It ensures maximum skin health by preventing a buildup of oil and dead cells in the pores that cause congestion. It also reduces sebum production whilst soothing inflammation and redness. For a more in-depth prescriptive plan, a DermaQuest professional skincare advisor can tailor a skincare prescription specifically to benefit your individual concerns. The DermaClear collection offers a variety of products that can be combined in a variety of ways to achieve the best possible results. A treatment cleanser designed to reduce excess oil in the skin by decongesting the pores. For use 2 – 3 times week. Evening use only. The mask that reduces redness and irritation whilst calming, cleansing and clearing out any bacteria. Simply brush on, leave for 10 minutes, wash away and your skin will feel clean, calm and under control. For use 2 times a week. A fast and effective treatment to tackle the occasional breakout. Perfect for use on the go. The Zit-Zapper is an essential product in any handbag or medicine cabinet. Zap that Zit! It really is a magic wand! A treatment to reduce blocked pores and excess oil, with an added skin calming effects. To be used a maximum every other night or 2-3 times a week as needed. 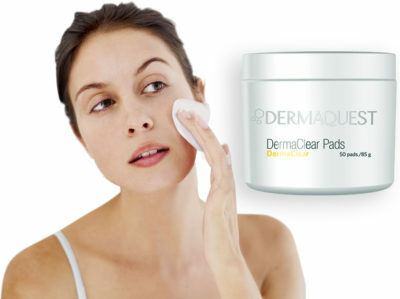 This is a miracle pad – DermaClear Pads are for acne what plasters are for cuts. When it comes to high-quality ingredients, DermaQuest know their stuff. Thanks to their scientific research and their understanding of acne as a skin disease their products only contain performance ingredients that cleanse, heal, calm, hydrate and protect the skin. At the top of the leader board is Salicylic Acid, also known as Beta Hydroxy Acid. This ingredient is powerful and packs a punch! It is derived from aspirin and is therefore well known for its healing, anti-inflammatory and calming capabilities. This is a Lipophilic Acid, which gives it the ability to work through the oil in the skin, breaking down the lipid bonds that hold the dead skin cells together. Once they have cleared a pathway, other ingredients can penetrate deeper into the epidermis. Dead skin cells are also then more easily removed from the surface or the skin revealing a brighter, fresher and smoother complexion. Please note – this product cannot be used if you are allergic to aspirin. Next on the leader board are our Alpha Hydroxy Acids (AHAs) – a group of front runners worthy of a medal. Lactic Acid, which is derived from soured milk, is used for its hydrating, skin lightening and exfoliating properties. It has a molecular structure that means it is gentle and suitable for sensitive skin. Glycolic Acid is the most frequently used AHA and comes from sugar cane. It possesses excellent exfoliating properties and has the ability to speed up cell turnover! Glycolic Acid – we love you for that! Formed by a small molecular structure it can penetrate deep into the dermal/epidermal junction to deliver its benefits deep into the skin. 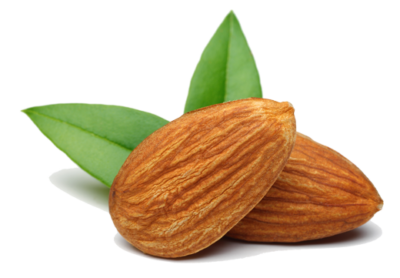 Mandelic Acid, derived from bitter almonds, has anti-microbial properties that can stop the growth of microorganisms guilty of contributing to acne breakouts. It is a key ingredient to smooth and soften the skin. Also worthy of their place in this competition for award-winning acne fighters are anti-inflammatory, antifungal and healing ingredients including Allontoin, Silver and MSM to name but a few. Now let’s talk Plant Stem Cells! DermaQuest is renowned for its plant stem cell research in the skincare sector. Plant stem cells are well known for their healing, replenishing and nourishing benefits. One of DermaQuest’s favourite stem cells in the fight against acne is the Lilac Plant Stem Cell. This key ingredient is incorporated in the Dermaclear product range and is proven to provide a huge reduction in acne lesions. A massive 40% improvement after just 30 days of use! Lilac plant stem cells also effectively reduce inflammation and improve pigmentation. What a winning ingredient. Vitamins are vital to our body’s health and wellbeing but they’re also important when it comes to skin health too. DermaQuest cleverly uses Vitamin B3 (also known as Niacinamide) in its acne fighting products. Vitamin B3 helps to improve blood flow, resulting in reduced sebum production. It also soothes the skin and improves the function of the skin’s protective barrier. Vitamin A (also known as Retinol) is medically proven to reduce the signs of ageing and is an impressive vitamin when it comes to reducing acne bacteria in the skin. What’s not to love about that? For a more intensive attack on acne, ideally suited to the higher grades of the condition, DermaQuest offers a range of chemical peels and resurfacers. From intensive chemical peels to less invasive resurfacing treatments, DermaQuest has a solution that can be tailored to your needs! The Modified Jessner’s Peel has been specifically designed to work in the deeper layers of the skin, suited to thicker, more resilient skin with persistent breakouts and blockages. Utilising a variety of the winning ingredients already mentioned, the Modified Jessner’s Peel also contains 14% Resorcinol which destroys the P-Acne bacteria in the skin. This revitalising treatment leaves the skin instantly smoother and less inflamed. If you’re considering a skin peel or resurfacing treatment your DermaQuest skincare professional can advise you regarding the best treatment plan. Often it is beneficial to start with a more introductory treatment such as the Primary or Power Pumpkin Resurfacer. These treatments are less invasive and include Pumpkin Pulp, as well as many other acids, to increase exfoliation and improve the appearance of uneven skin tone and other acne symptoms. So, all in all, if you’re serious about winning the fight against acne, it’s time to trust in DermaQuest and the DermaClear range. These proven products and treatments are already helping people of all ages and all skin types around the world achieve a clearer, calmer and healthier complexion. Posted in DermaQuest | Press | What's New and tagged Acne | article | DermaClear | DermaQuest. ← Youngblood Mineral Makeup Day!